. Please register for this workshop at Public Programs, CIIS: publicprograms@ciis.edu. 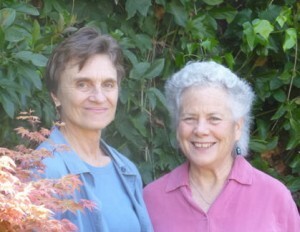 Gloria Hessellund and Sara Webb will be the teachers for this weekend course. Everyone is welcome. This workshop explores how muscle tension, breath, and body postures interface with emotion through the Rosen Method, a somatic practice founded by Marion Rosen that develops the ability to decipher body language and to see through the outer layers of a person into the innermost working of the human heart. In this workshop, participants learn to interpret muscle tension and to support the release of this tension through gentle touch. Participants also develop greater sensitivity in their touch and increase their ability to see subtle changes in the breath that indicate a person is speaking the truth or having a long-forgotten memory well up from the past. The spiritual and emotional dimensions of the breath are clarified, as well as the physiological foundations of breathing and the connection of breath to the unconscious. This workshop is a wonderful opportunity to study with Marion Rosen’s close colleagues and experienced senior teachers. Each brings a different perspective to Rosen’s far-reaching and broad-based somatic approach to the whole person.